Dennis joined Pasquesi Sheppard LLC in 1984 and became a partner in 1987. Prior to joining the firm, Dennis was a manager with an international accounting firm and served as CFO for a privately-held company. Dennis directs his talents to the needs of entrepreneurial businesses and their owners, not-for-profit organizations and high wealth individuals. Dennis provides to his clients his knowledge and experiences as both CPA and CFO. This perspective allows Dennis to help his clients achieve the strategic goals important to their success. Dennis contributes his time and energies to various not-for-profit organizations. 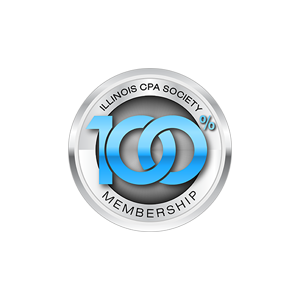 He is a member of the American Institute of Certified Public Accountants and the Illinois CPA Society. Dennis holds a Bachelor’s degree in Business Administration from the University of Notre Dame. He is a licensed Certified Public Accountant in the State of Illinois. Dennis enjoys spending time with his wife and their dogs. You can also find Dennis out on the roads and trails riding his bicycles. Dennis and his wife live in Lake Forest.